The building is used to be government house and restored as a “Boutique Hotel”, impressive large lobby around 400 M2 and 5.00 meters high ceiling. 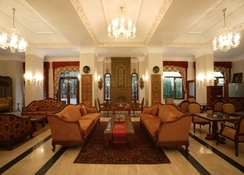 Lobby is decorated with Ottoman style textiles and 150 years old original historical wooden pieces. 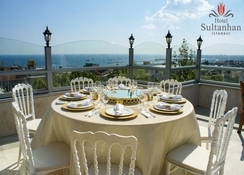 "SULTANHAN TERRACE RESTAURANT serves finest Turkish and international dishes. 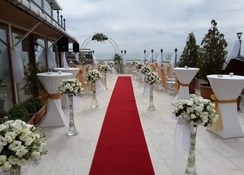 Besides experiencing the warmth Turkish hospitality, one can have light meals, snacks, lunch and dinner with a view of the world famous Sultanahmet-Blue Mosque, Topkapi Palace, Saint Sophia, Golden Horn, Bosphorus, Princes Islands and Marmara Sea. Indoor and outdoor terrace restaurant is available.SÖMINE BAR is decorated with original Ottoman style furniture pieces and textiles. 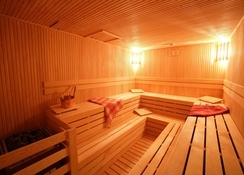 You may prefer to discuss business or you may have your drinks in an unprecedented historical environment.After long and tired day you may relax in our TURKISH BATH or SAUNA." 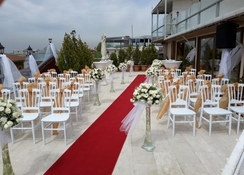 Located in the oldcity center, Topkapi Palace, Grand Bazaar, Blue Mosque, Saint Sophia, Basilica Cistern, Turkish and Islamic Art Museum and Hippodrome are walking distance within 10 minutes. 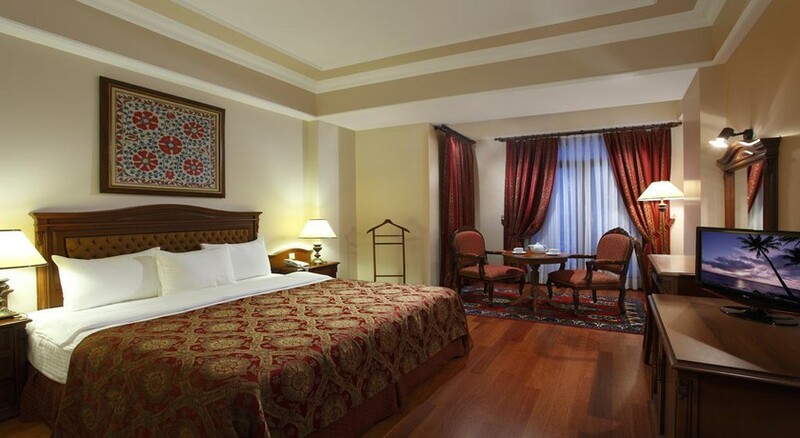 All rooms are decorated with high quality Ottoman style design fire resistant textiles, Ottoman style design wooden furniture and original Ottoman style silk “Süzani”. Rooms are all equipped with; individually controlled heating and air-conditioning system, king size bed, queen size bed, parquet flooring, double glazed windows, black-out curtains, bathtubs, telephone by your bedside and in the bathroom, mini-bar, hair dryer, electronically locked safes, wireless internet connection, lap top rental service, TVs featuring local and international cable TV channels and is also providing 24 hours room service in addition to secretarial, laundry and pressing services for its distinguished guests. Airport 18 Km, Railway 500 Mtr, Tramline 100 Mtr, Pier 1 Km, CNR Exhibition Center 19 Km, Lutfi Kirdar Exhibition Center is 5 Km away. Cleaning 7 times a week. Towels 7 times a week. Sheets 7 times a week. Distance to the station 2 km. to the train station,0.5 km. to the metro station. Distance to the airport 18 km.